It’s the holiday season, and for many it’s a time of year that pets are given as a gift. This can hold true especially for families with children, but animal gifts are common for all ages during the holiday season. While it can mean animals in need of homes including shelter and rescue animals may find forever homes, it can also mean big business for breeders and puppy mills. Sadly, it is also a time of year that many in animal rescue and shelters fear as a large number of animals given as gifts end up not being wanted, uncared for, and abandoned later. 10. Does the recipient have the ability to care for the pet for the entire length of its life, including providing attention, safe living space, healthcare, food and water? If not, reconsider gifting the pet! Most animals can live up to 15 and 20 years today. Better to be safe than sorry if you are not sure. 9. Does the animal need special habitat and other items? Most do not realize that animals such as turtles or lizards absolutely need more than just a tank to live in. Humidity, heat, light sources and water are all critical to their well being and health. Be sure to give the necessary items needed with the pet to ensure it’s safety, care, health and well being. 8. Consider adopting a homeless animal versus shopping for one! There are millions of dogs, cats, birds and other pets in need of homes that were once owned or purchased by people who later abandoned them. If you’re considering giving a pet as a gift, these animals can be perfect and you’ll help animals in need. 7. Don’t necessarily opt for a baby animal! Puppies, kittens and other baby animals are adorable and fun, but they can be a lot of work for someone who doesn’t have time or experience, including training, housebreaking, and other needs. If you’re giving a gift of a pet, consider if an animal of an older age might be a better fit. The point should never be a ‘cute little puppy!’ or kitten, but a loving animal that can be part of your family. In some cases, older animals can be a better fit. 6. Schedule a vet office visit for the animal following the holidays. It can be ideal to have a new pet taken to a veterinarian for an evaluation regardless of age, just to be sure it is healthy, has no issues such as parasites, etc. Schedule a visit after the holidays settle down a bit for a checkup. 5. Give the pet time to adjust. So many people want the animal they give as a gift to adapt and be fun right away! Thankfully, most animals are more than happy to oblige. But some do need time to acclimate, including baby animals. Consider it this way — your new pet was just taken from one home, to a new home, full of new smells, sights, sounds, people. That can be scary for anybody. Don’t automatically assume there is something wrong with the animal, or that it isn’t a fit for your family. Give it time, and let its natural personality unfold! 4. Introduce the animal with care — especially with small children! Animals can get hurt when being handled by small children. They can also be frightened easily, or even react out of fear, uncertainty, etc. Respect your new pet’s needs and introduce it slowly and with care to its new environment, people, etc. Don’t expect or get upset if it needs this time to adjust, too. 3. Learn about and share details about the animal’s care and needs. This is especially important with small children. Crating animals isn’t a requirement. Dogs and cats are not warm enough or cool enough in extreme weather. All animals need clean, fresh water and nutritional food every day, and sometimes many times a day, etc. As you gift an animal, don’t assume the recipient understands automatically about its care and needs! This includes older owners, too, but kids as well. 2. Set a plan, schedule and environment for the animal right away. A new animal of any kind needs to be in a routine, needs a safe, clean environment and other care scheduling such as feeding, water, exercise, etc. Work to implement this right away, including any training or other classes! It’ll will ensure a happier pet who is easier to manage! 1. Download Kuddly! You can get answers to your pet’s health and care needs from verified, professional veterinarians any time, anywhere, from your smart phone. 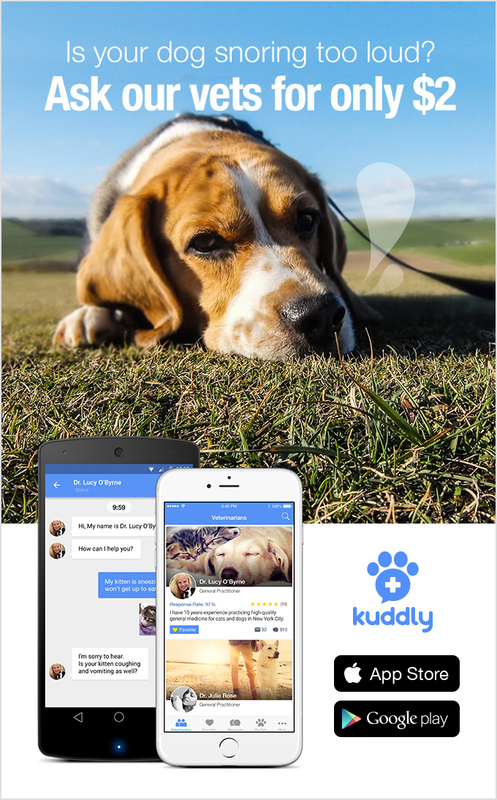 While Kuddly isn’t meant to replace regular and needed office visits for your pet, it can be a way of helping you give the very best care to your pet, at far less cost than an office visit for those questions you may have about health, care, etc. Share Kuddly with your gift recipient as part of the resources they can use to help care for their pet. And of course, the number one thing to consider: Is this the right gift? There are a lot of ways people, children, etc. can get time and enjoy animals without necessarily being given them as a gift or adopting them. You can donate time to a shelter to help with socialization, foster, and other means. It can be fun and exciting to have a pet as a gift during the holidays! But, it is a lifetime commitment, one that can take a lot of time, in some cases money, and your attention. Part of why there is a large number of animals are homeless is due to being given as gifts and later unwanted. If you’re not sure that the gift recipient can keep the pet for it’s entire life and care for it, consider another gift this holiday season.